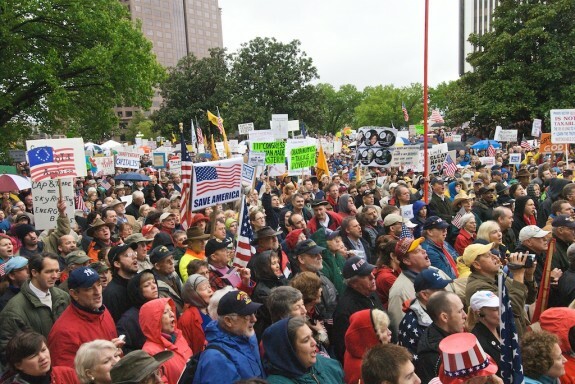 The City of Richmond charged the local tea party $10,000 to hold three rallies on the plaza… But, socialist squatters get to set up camp for free. The Richmond Tea Party is demanding a refund from the city for $10,000 it spent on permits, portable toilets, police presence and emergency personnel for three rallies held at same plaza where the Occupy Richmond squatters set up their camp. Richmond Tea Party spokeswoman Colleen Owens says it’s not fair that her group had to pay fees for permits, portable toilets, police presence and emergency personnel. The group also had to purchase a $1 million insurance policy.